If you’re looking for a home to lease in Beverly Hills, we work with luxury properties typically ranging from 12 months or longer terms. If you’re thinking of buying eventually, renting or leasing has some advantages in the interim such as lower cash outflow (deposits vs downpayments), no unexpected maintenance costs, and the ability to downsize or upsize at the end of the lease term while you house hunt. Leasing can also be a good way to get familiar with a particular neighborhood or area for those thinking of buying, but who aren’t completely decided at the present time. Leases on luxury homes in Beverly Hills can vary greatly in price depending on location, size of the home and property upgrades and amenities. Lease rates for nicer homes typically run around $6,000-$7,000 a month but quickly climb into the $10,000 – $30,000+ range and more for newer homes and estates in desirable neighborhoods and locations. 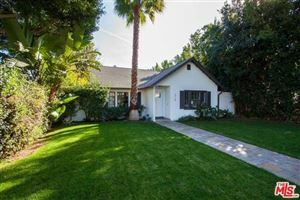 Listed below are Beverly Hills homes for rent or lease currently on the market. If you are in the market for a luxury lease in Beverly Hills, please review the below current listings. If you would like more information on any of these properties, please give me a call at (310) 717-2232 or you can leave your contact information on my contact form and i’ll get back to you within 24 hours. See all Beverly Hills Luxury Estates For Lease. More homes – Beverly Hills Real Estate .. Updated daily!